Words spoken by Tom Moulton, manager of the OJ Cricket Week, at 11.30am on 4th August 2014. 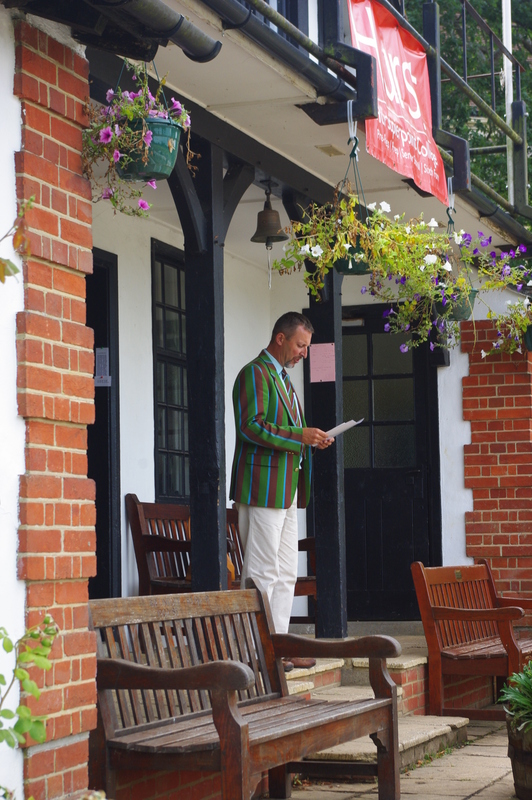 As we stand here today, 100 years after the start of the Great War, it is appropriate to consider the impact that that conflict had on the College and in particular its cricketers. The link between the war and Hurst cricket is clear. 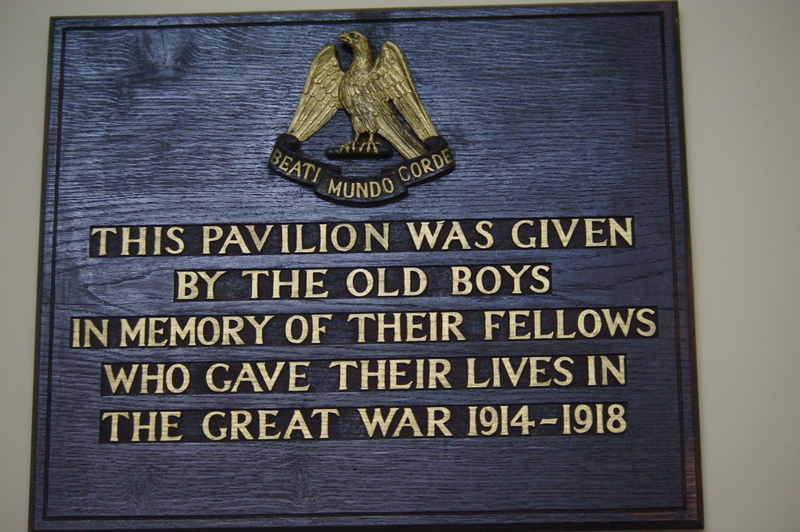 This pavilion is the College’s memorial to 108 Old Boys who lost their lives, with the clock dedicated to the memory of four masters who died, including the master i/c. of cricket. The Cricket Week itself was founded in 1920 clearly had the shadow of the war hanging over it. Five of those who played in the 1914 XI were killed, whilst the nine survivors all played in the cricket week in the 1920s with five of the team playing in the inaugural week. In all, 20 OJs who played cricket in the 1st XI were killed. Let us remember them by name and then hold a minute’s silence in recognition of their sacrifice. “They shall grow not old as we that are left grow old.